San Diego Home Sales website search offers all La Mesa homes, condos and foreclosures for sale. You are able to get new property listings daily that meet your search criteria. 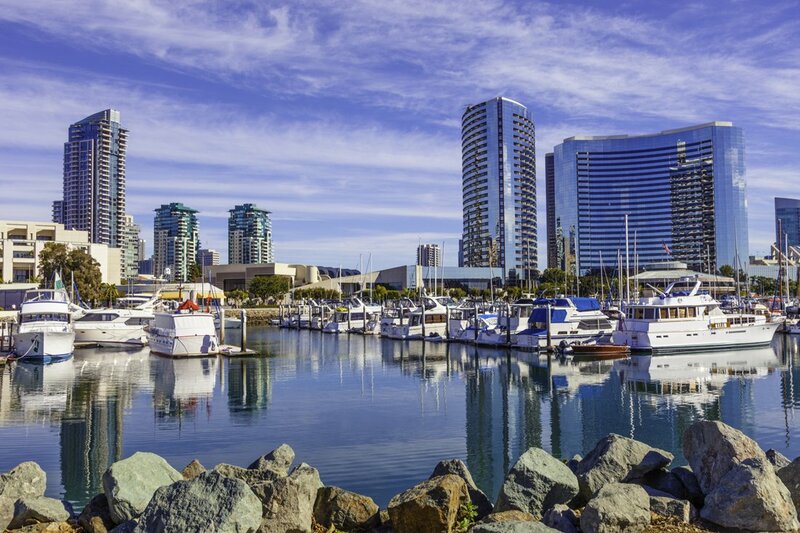 Located about 12 miles east of downtown San Diego, the city of La Mesa, California, is a mid-size city just a few miles east of Southern California's Pacific shores. The city, which was founded in 1869 and incorporated in 1912, is home to a population of around 55,000 and sits on an area of just over nine square miles. It borders San Diego, Spring Valley, Lemon Grove and El Cajon. In 2005, the median household annual income level was estimated by the San Diego Association of Governments to be around $56,000. There are two school districts with jurisdiction over the public educational institutions in La Mesa. The La Mesa Spring Valley district oversees elementary and middle schools, while the Grossmont Union High School District oversees Helix Charter High School, the Gateway Community Day School and the Gateway West Community Day School. There is also one elementary school overseen by the Lemon Grove School District. There are also a few private schooling options, including the San Diego Jewish Academy, the Liberty Charter School and the Christ Lutheran School. San Diego State University is just west of the city. Annual events held in La Mesa include a farmers market on Friday afternoons, a Flag Day parade, an Oktoberfest, Christmas in the Village, the Antique Street Fair and a "Back to the '50s" car show. Lake Murray Park and the Murray Reservoir are just north of downtown, offering outdoor excursions. The city is also dotted with numerous shopping centers and 14 smaller parks and a sports complex. La Mesa is conveniently located right off of Interstate 8, making it fast and efficient to reach other parts of San Diego County from here. Grossmont Hospital and the UCSD Child-Adolescent Psych Hospital serve medical needs of residents in the area.